Share the post "Gig review: GREAT BRITISH BEER FESTIVAL (Planet Rock Stage) – Olympia, London, 9 August 2018"
While musical entertainment has been supplied for many years at the Great British Beer Festival, it has tended to be a bit ‘end of the pier’, whether it be oompah bands or covers acts. However this year the penny finally dropped that classic rock music was a natural fit for the GBBF, with the result that a well known digital radio station was appointed as an official media partner and the music stage given over to them on the Thursday to showcase six up and coming bands. It’s a wonder it has taken this long, as classic rock and real ale can be said to appeal to a similar demographic, and both worlds share similar values: cherishing tradition and craftsmanship; impervious to passing trends or the latest glamorous fashions; yet with a revitalised scene in recent years, driven by enthusiasts with new sounds and tastes, and appealing both to long-time fans and a newer generation. The music stage is rather tucked away at the back of a cavernous Olympia, but there was a good crowd throughout the day. The volume of familiar faces from gigs and others in band T-shirts confirmed that a rock stage bolstered the numbers attending the festival, but a number of merely curious drinkers must also have joined the fun. 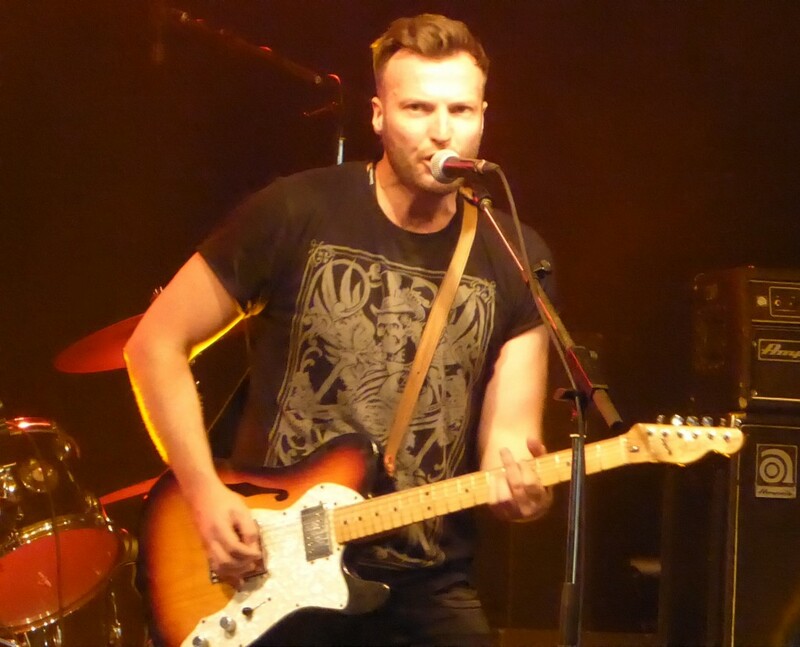 Proceedings were opened by Fireroad, the hard-working Welsh rockers led by affable singer Richard Jones. Their gutsy, passionate sound married to a social conscience – ‘Second Hand Soldier’ being the best example- owed a lot to the earlier (and best) work of their neighbours the Stereophonics and Manic Street Preachers. At the same time they had one foot planted in more traditional hard rock, with songs like ‘Minute’, ‘Rain Water’ and ‘Before the Matinee’, the former reminding me of UFO’s ‘Cherry’, while Gavin Davies, who had the look of a young Gary Moore, delivered some great solos. I don’t know if it was official policy to reel in the more casual rock fans, but they were the first of many bands to throw in covers, closing with a very impressive rendition of ‘Ziggy Stardust’ and ‘Rocking in the Free World’, suiting their no frills style perfectly. Next up was Mollie Marriott, taking some time out from recording her second album. Since I first saw her last year her live sound has toughened up, Johnson Jay playing some extended solos with great feeling on the likes of ‘Broken’ and ‘Truth Is A Wolf’. Some of the soul and other sixties influences have been pushed more to the margins – though Aretha Franklin’s ‘Baby I Love You’ went down very well. 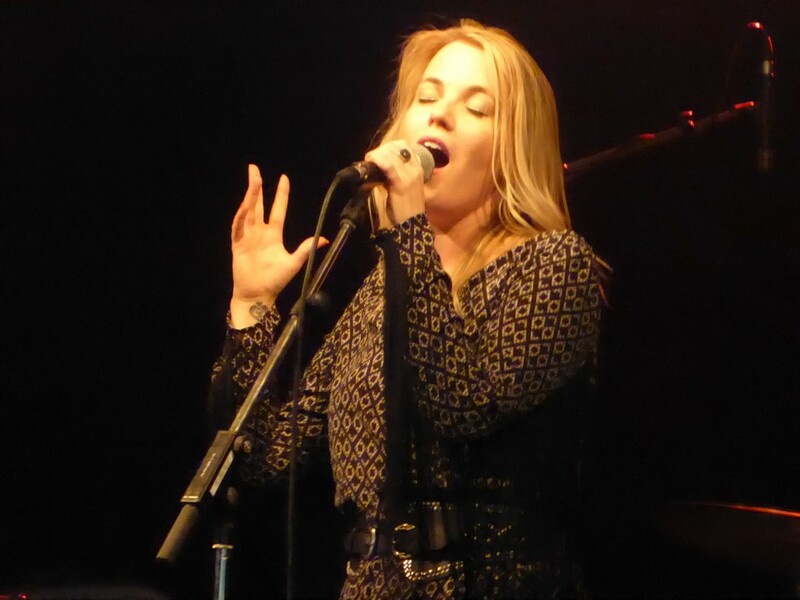 Given the band’s new found rockiness, it was fitting that when she introduced a Tom Petty cover it was perhaps the late star’s heaviest number in ‘I Should’ve Have Known It’. She was easy both on the eye and the ear with a pleasingly rich voice that you might expect from her family ancestry. It was shown to best effect on the hauntingly sweet melodies of ‘Transformer’ while the catchy ‘Control’ was a fun closer which whetted the appetite nicely ahead of album No 2. 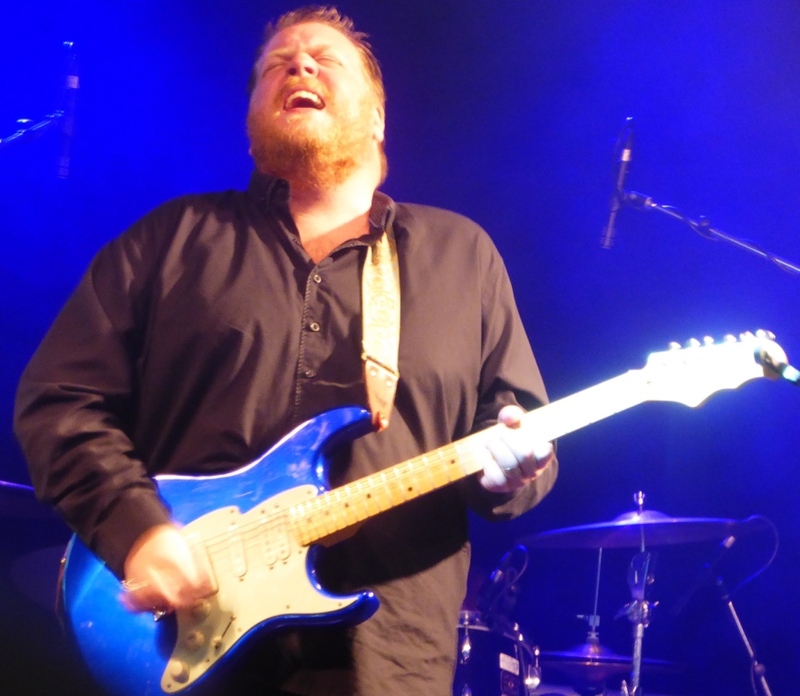 Though still relatively young, bear-like blues guitarist Danny Bryant slightly stood out on the bill from the newer bands, having been treading the boards for many years. His playing style, owing much to Stevie Ray Vaughan or Walter Trout, was at the rockier end of the blues and he certainly crammed in the notes, but his rather strained singing was an acquired taste. 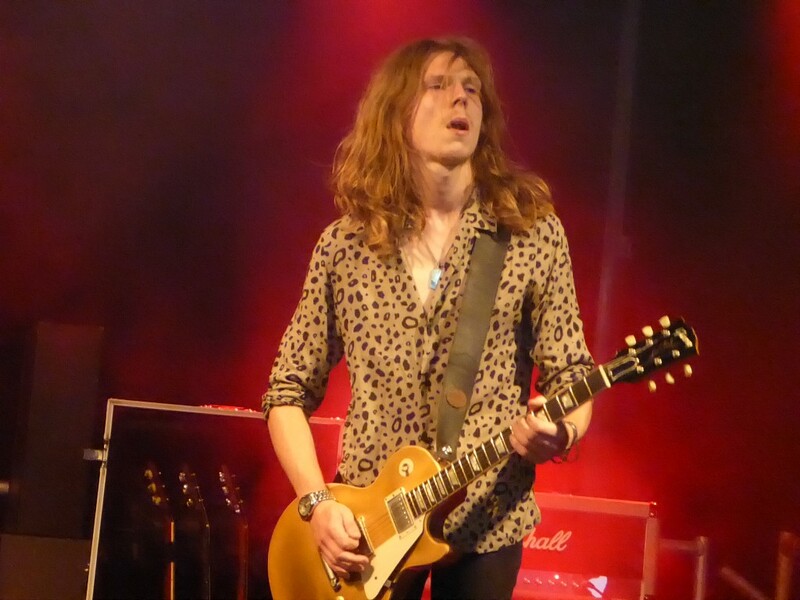 However a unique sound was created in tandem with the keyboard wizardry of Bradley Wiggins lookalike Stevie Watts. My attention wandered at times as there were too many songs that were either covers-‘Little Wing’ and ‘On The Road Again’ or sounded as if they were (‘Heartbreaker’) and the jams became lengthier, However things came together gloriously on the final song ‘Painkiller’, beginning with a piano led intro and Danny living every word of the song before careering off into a powerful solo. After a slightly longer break the final three acts were all standard bearers of what is being coined the New Wave of Classic Rock. The only one of the trio previously unfamiliar to me were The Dust Coda but it is not hard to see why a buzz is building around them. 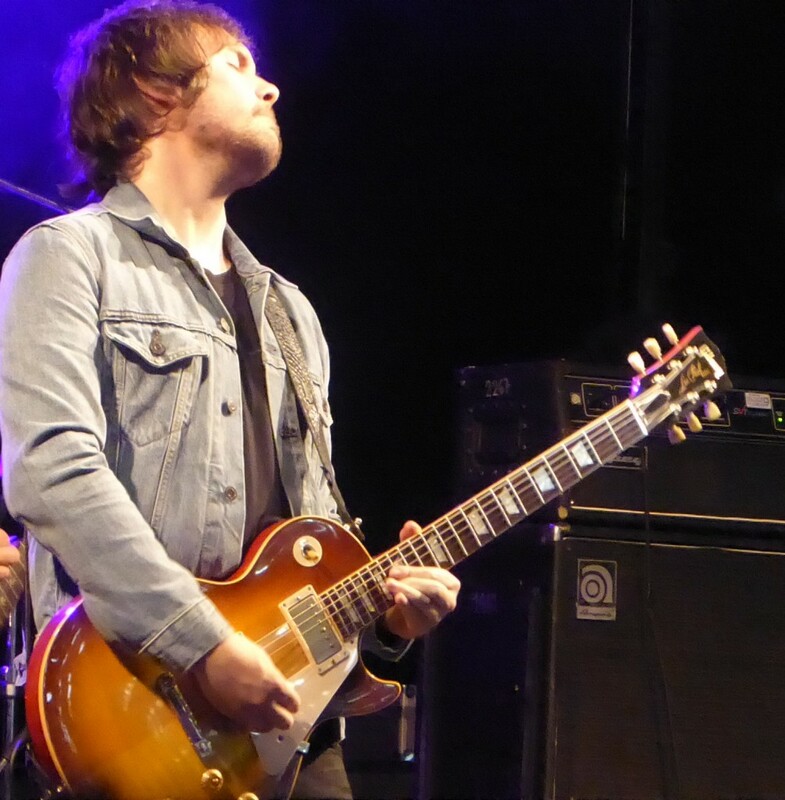 They were tight musicians, if not the most charismatic performers, but stood apart from the massed ranks of blues rock hopefuls ploughing a similar furrow with songs that were more complex in their construction, and taking on some more modern influences including Audioslave and Alter Bridge. Their trump card however was John Drake whose voice was both powerful and expressive, but capable of switching into a falsetto that even called to mind Thom Yorke at times. Of their more accessible songs the bluesy ‘Sweet Love is Gone’, ‘Weakness’, current single ‘Let Me Go’ and ‘When The Tide Comes In’ all impressed, making The Dust Coda a very interesting proposition indeed. I was probably looking forward to Bad Touch most of all, having witnessed their phenomenal road work and steady rise to prominence. 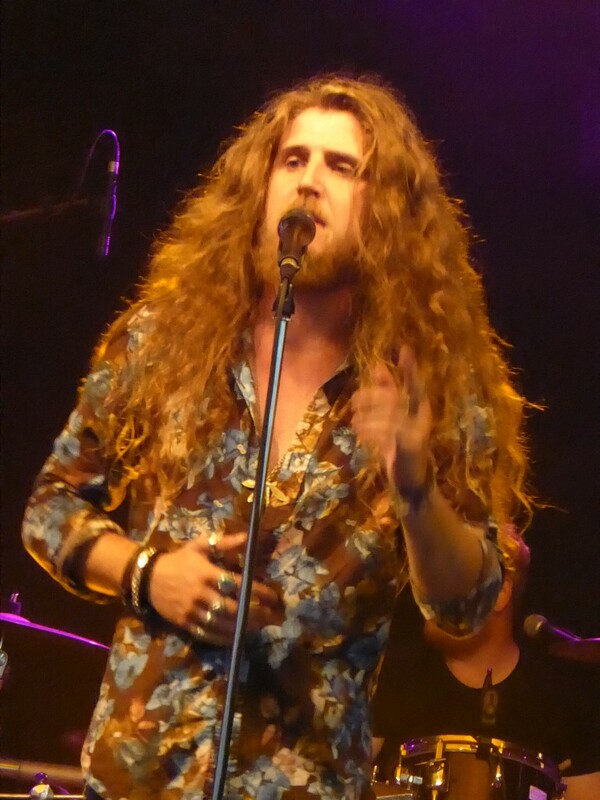 Of all the acts, they had the best stage presence with Stevie Westwood working the audience and promising ‘eargasms’, and the flowing hair and patterned shirts were a reminder to some of the other bands that rock’ n’roll should have a degree of escapist colour and style. Yet they also have substance to back up the image from the opener ‘Take Me Away’ – showcasing Stevie’s deep, soulful voice – to the Black Crowes-esque ‘Good On You’ with its tongue in cheek lyrics as well as the confidence to play some new songs from the unreleased album, including ‘Lift Your Head Up’, brand new single ‘Skyman’ and ‘Dressed to Kill’. I didn’t think their choice of old songs was the strongest, and missed some of the more countrified slower songs, while a cover of ‘Whole Lotta Love’ was to me unnecessary, though again I am sure a sop to this unique occasion. However I found myself punching the air to the southern rock of ‘Outlaw’ as it built menacingly to a chorus, while lead guitarist Rob Glendinning has a great tone and feel to his playing. His six string partner Daniel ‘Seeks’ Seekings and drummer George Drewry also effectively fill out the vocals. They closed in fine style with ‘99%’ with its Stonesy raunch and humorous lyrics. Rounding things off were the Broken Witt Rebels, the youthful Brummies who had been touring extensively, including with Bad Touch but been relatively quiet recently, recording their second album. Any review of them must start and end with the remarkable soulful R n B influenced voice of Danny Core, and it is quite arresting to hear this unprepossessing young Midlander sing the gravelly tones of a Joe Cocker or Eric Burdon. On the down side, they are a very static stage act and some of their hooks were less than memorable. ‘Loose Change’ had a leaner and tougher approach as did ‘Snake Eyes’, which augurs well for their winter tour supporting Reef. ‘Guns’, easily their catchiest song with fans joining in on the ‘Burned Out like a Cigarette’ refrain and ‘Shake Me Down’ ended the set very nicely, by which time the beer was certainly talking. By all accounts a classic rock stage at the GBBF was a roaring success and the only question about this marriage made in heaven was ‘what took them so long’? With luck, this will be a regular event as life cannot get much sweeter than a beer festival combined with a rock festival for under a tenner. 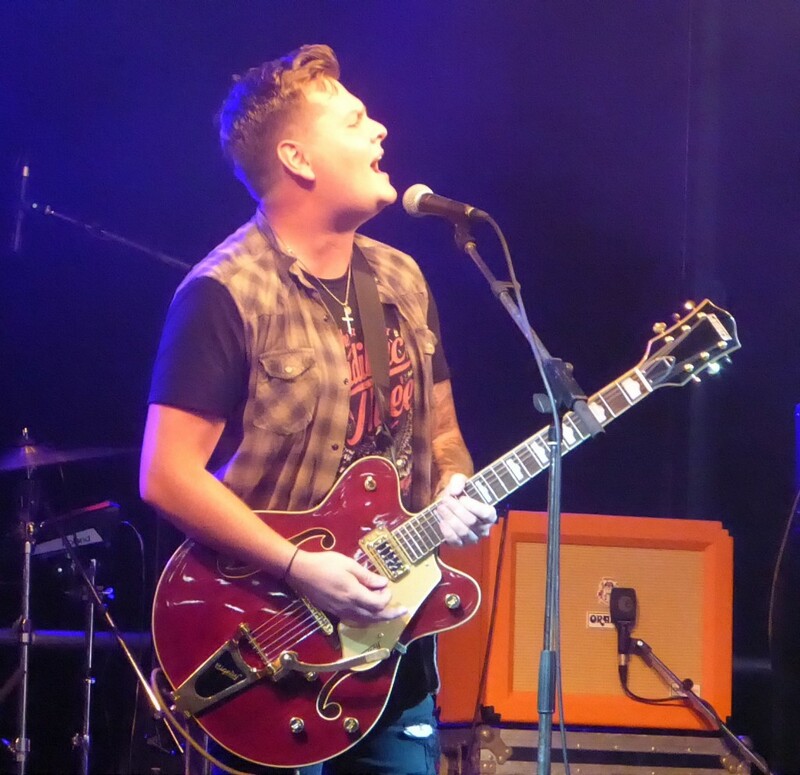 This entry was posted in All Posts, GIG REVIEWS and tagged Bad Touch, blues rock, Broken Witt Rebels, classic rock, Danny Bryant, festival, Fireroad, gig, Great British Beer Festival, Mollie Marriott, Planet Rock, review, The Dust Coda. Bookmark the permalink.